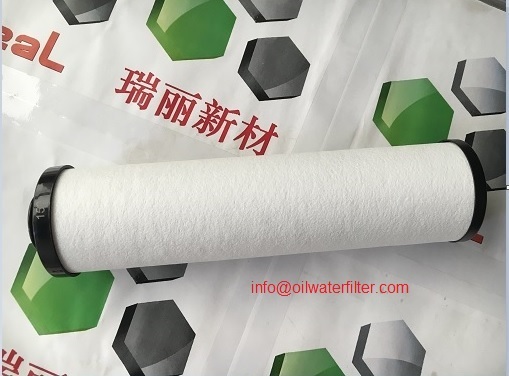 The deoiling, dewatering and dedust air filter cartridge employs the superoleophylic and superhydrophobic separation membrane and oil sorbent sponge with independent proprietary intellectual property rights. It is researched, developed and manufactured to remove oil, water and dust. Diverse applications, for example, water gas separation, oil gas separation. Single filter cartridge can separate dust, oil, water and air. When the air mixture is input from internal of filter cartridge so that solid, grease and water is hold in the internal of filter cartridge and the purified air is discharged. 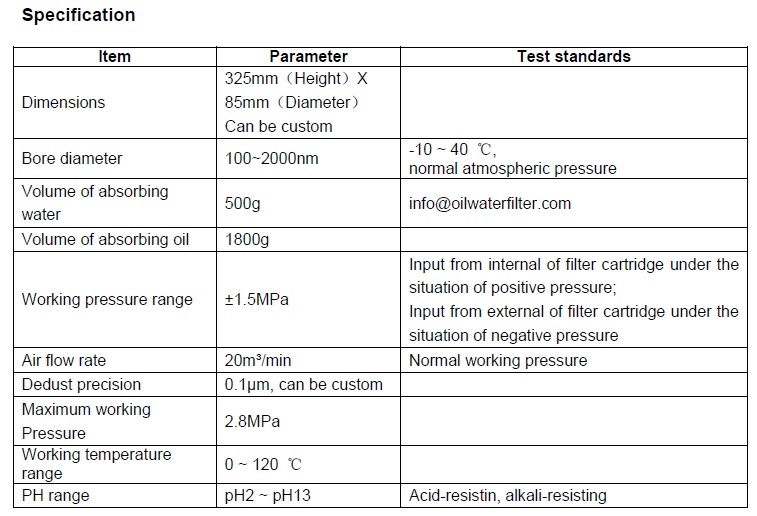 When the air mixture is input from external of filter cartridge so that solid, grease and water is hold in the external of filter cartridge and the purified air is discharged. To remove oil and water in the gas. To purify the room with oil and gas. To remove oil and humidity of air inside of the cleaning room. To remove oil and water from air for compressor.